The levels of some substances in your blood vary substantially, according to when and what you last ate. To control for variability introduced by eating, you must fast for a specific number of hours before certain blood tests. Although most diet soda is calorie-free, you should not drink diet soda or any other beverage except water when fasting for blood tests. Many people mistakenly think of diet soda as nothing more than colored, carbonated water because it is sugar- and fat-free and contains no calories. Diet soda, however, contains many substances. A partial list of ingredients in some leading brands of diet soda includes caffeine, lactic acid, potassium citrate, potassium benzoate, phosphoric acid, aspartame, acesulfame potassium, monosodium phosphate, brominated vegetable oil, carob bean gum, grapefruit juice concentrate, and various flavors and colors. These substances may provoke changes in your blood chemistries, altering your fasting blood test results. When you have blood work, your doctor receives a report that includes your test result and the laboratory's normal range for the test. For blood tests that require you to fast in preparation, the normal range applies only to the fasting state. Drinking diet soda invalidates your blood test result because it is not a fasting value. If you mistakenly drink diet soda when you are supposed to be fasting, call your doctor's office or the blood laboratory. You will probably need to reschedule your blood test. Many blood tests do not require preparation. If your doctor schedules you for a fasting blood test, however, it is important that you not eat or drink anything other than water for the time specified, which typically ranges from eight to 14 hours. Do not drink diet soda, vitamin water, coffee or tea during your fast. You should not chew gum or use breath mints during your fast. Avoid smoking when fasting for a blood test. Most doctors recommend not exercising in the morning before collection of your fasting blood work. 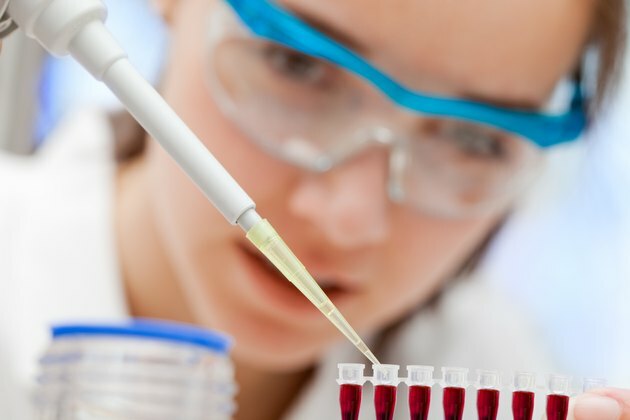 Laboratories typically schedule collection of fasting blood tests early in the morning to avoid a lengthy delay before you are able to eat your breakfast. If you normally take medicine by mouth in the morning, ask your doctor whether to take your medication as usual. Several common blood tests require you to fast before collection of the sample. Examples include a fasting blood sugar, a glucose tolerance test, cholesterol and triglyceride levels, and a lipid panel, also known as a lipoprotein panel. Less common blood tests, such as an insulin level, also require fasting before collection. If you have questions about your fasting blood test, call your doctor's office or testing laboratory.